Bulgaria has allocated USD 5 M to support the co-hosting of the Men’s Volleyball World Championship in 2018, the government said on Monday. In December 2015, the International Volleyball Federation (FIVB) selected Bulgaria and Italy to host jointly the 19th edition of the championship. It will be the first volleyball world championship co-hosted by two countries, with the semifinals and finals of the tournament to be played in Italy. The cities of Sofia, Plovdiv, Varna and Ruse will host matches of 12 teams. Bulgaria last hosted the World Volleyball Championship in 1970. The women’s 2018 volleyball tournament will take place in Japan. As a small business owner, you strive to give your business its best chance of success. And many times, savings on things like regular expenses or access to free information can make a big difference. The National Federation of Independent Business (NFIB) is an organization that offers exactly those benefits to small business owners. 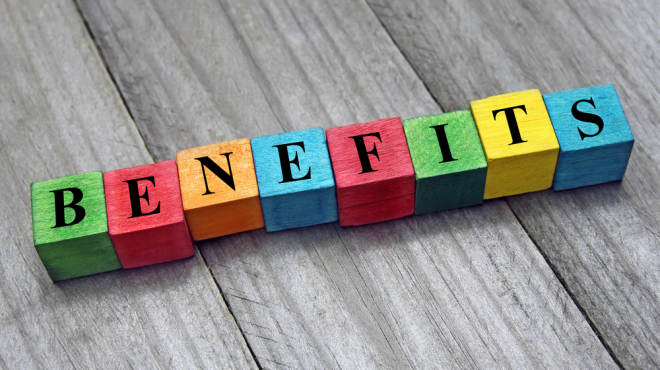 Below we detail several of the key NFIB membership benefits that you may not even know about. NFIB works with trusted suppliers to offer discounts on a variety of business related services. For instance, you can realize significant savings on credit card processing. According to NFIB, members save an average of $1,200 annually on credit card processing. You can also receive discounts on things like tax filing, a payroll system and background checks. Procuring the right business insurance for your particular needs can be both complicated and expensive. But NFIB gives its members tools that allow them to compare quotes from multiple providers. By becoming a member, you can rest assured that your business has access to a variety of insurance products from workers’ compensation to business auto, all at great rates. As you know, business owners have more to worry about than just their business. You also have personal expenses and insurance needs. NFIB members receive access to cost effective insurance solutions for their individual needs, from home and auto to individual health insurance and life insurance plans. Building a solid team and/or managing your existing employees is no easy task. There are plenty of state and federal regulations of which you need to be aware. When trying to manage your human resources department, you can benefit from NFIB’s large library of hiring and HR related forms and resources. The organization offers things like hiring forms, FAQ’s, legal guides, sample interview questions, webinars, posters and more. You can use all of these to make sure that your business is compliant and that you’re building the best possible team. In addition, members of the NFIB have access to discounts on payroll services, as well as access to training and other premium features. You can work with suppliers like XpressPayroll and PowerPayroll and receive 10 percent off their regular rates. You can also get your setup, training and installation fees waived with membership. In doing so, you ensure that you’re not only saving money but that you’re also fully aware of all the features and processes of your payroll provider. This can help avoid difficulties down the road. NFIB members save on tangible items for their business through discounts on everyday things like uniform rentals, vehicles, computer systems and more. In fact, NFIB states that members can save up to 70 percent off standard uniform rental rates. You can also save 35 percent or more on some computer systems. If you do any traveling for your business, or if you regularly send any of your team members on business trips, you can save on those expenses with NFIB membership as well. The organization offers a 20 to 40 percent discount on the lowest published rates for select hotel rooms. NFIB regularly shares news, updates and research that are relevant to your business. As a member, you receive expert resources and information that you can use to grow your business. The organization shares must-read updates about laws and regulations, marketing ideas, leadership tips and research that apply to small businesses in a variety of industries. NFIB’s primary mission is to advocate for small business owners when it comes to state and federal laws and regulations. Membership supports these efforts and gives you the ability to share your input, which impacts the organization’s efforts in a way that ultimately helps your business. As a member, you have the opportunity to display the NFIB member badge on your storefront, website and other marketing materials. Doing so shows your customers, potential collaborators, colleagues and anyone else visiting your business that you are a credible business that has professional affiliations with organizations like NFIB. This can also help you network with other business owners and professionals who are also members of NFIB. Bulgaria’s business climate indicator has increased by 0.5 percentage points compared to the previous month due to improved expectations of managers about the state of their businesses over the next six months, the statistical office NSI announced on Monday. Business climate had improved in retail trade, industry and services but had worsened in the construction sector, the NSI said in a monthly business survey. Retail trade led the increase with a rise of 2.8 percentage points in the sectoral sub-index due to more optimistic expectations of managers about the business position of their enterprises over the next six months. Forecasts about the volume of sales and orders placed with suppliers over the next three months also improved and selling prices were expected to remain little changed from their current levels. Industry followed with the business climate sub-index for the sector rising by 1.2 percentage points in comparison with January. Managers’ expectations about the activity of their enterprises over the next three months have also improved. Most entrepreneurs expect the selling prices in industry to remain little changed from their present levels over the next three months, the NSI said. In February, the business climate in services increased by 0.9 percentage points due to more favourable assessments of the companies’ present state and expectations about business activity over the next six months. However, managers’ opinions about the present demand for services, as well their expectations for the next three months were more moderate. Managers in services sector expect selling prices to remain unchanged over the next three months. The sub-index for business climate in construction has dropped by 3.5 percentage points in February compared with January due to more pessimistic assessments of the present business position of the companies in the sector. Yet, managers expect construction activity to pick up in the next three months, the NSI said. CHILDREN are sometimes reassured that new siblings arrive via friendly storks. The reality is messier. Money creation is much the same. 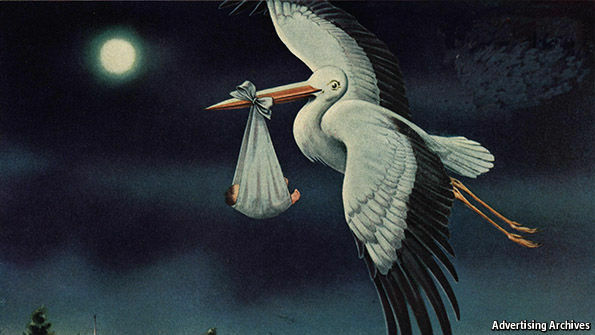 The “stork” in this case is the central bank; many think it transfers money to private banks, which act as intermediaries, pushing the money around the economy. In reality, most money is created by private banks. They generate deposits every time they make a loan, a process central banks can influence but not control. That alarms some, who worry that banks use this power heedlessly, thereby stoking disruptive booms and busts. Campaigners in many rich countries want to strip private banks of the power to create money. In Switzerland members of the “Vollgeld Initiative” presented the government with enough signatures in December to trigger a national referendum on the subject. Bank deposits, they point out, make up some 87% of the readily available money in Switzerland, vastly exceeding notes and coins. Since money creation is the main fuel of both inflation and growth, they argue, it should not be in private hands, let alone entrusted to institutions that are prone to binge and purge. Russia’s Gazprom, Italy’s Edison and Greece’s DEPA will make a cost efficiency assessment of potential supplies of Russian gas under the Black Sea to Italy and Greece by the end of the year, the Chief Executive Officer of the Russian gas giant, Alexey Miller, has said. A memorandum of understanding on possible gas supplies through a pipeline from Russia under the Black Sea and via third countries in the direction of Greece and Italy at a later stage by end-2016 had been signed in Rome, TASS quoted Miller as saying at a meeting with Russian President Vladimir Putin in Moscow on Monday. “We and our European partners have as a starting point the so-called Poseidon project drafted at the time by our colleagues from Greece, Italy and France,” Miller added. The Poseidin project has been designed to carry 12 billion cubic meters of gas annually from Azerbajan to Greece and under the Ionian Sea to southern Italy. Bulgarian authorities detained 27 foreigners after stopping a cargo transit train for inspection at the railway station in the town of Kaspichan on Sunday evening. Prior to stopping the train, workers at the railway station in the town of Provadia submitted a signal after noticing people in one of the wagons of the cargo train. Police officers reacted immediately and together with the workers at the railway station in Kaspichan managed to stop the transit train travelling from Turkey to Austria. In one of the wagons covered with canvas they found eleven women, seven children and nine men. None of the foreigners had identity documents and they all claimed to be Iraqi citizens. Officials from the migration directorate are continuing the work on the case, the press service of the interior ministry informs. Both Provadia and Kaspichan are located in northestern Bulgaria, near the Bulgarian Black Sea port of Varna and the industrial town of Devnya. The region, where there are a railway and a motorway linking Varna with Sofia, is far from the traditional route in southern Bulgaria used by traffickers to smuggle illegal illegal migrants from the border with Turkey to Serbia. 9 Signs of a Toxic Boss – Are You Being Poisoned? We all have toxic tendencies, some of us more than others. That goes for employees, interns, managers — and bosses. Being toxic can mean many things, but it’s ultimately a behavior that poisons the environment and those around you (metaphorically, of course). It’s detrimental to employee morale, company culture, relationships in business, and can even take down a company if not addressed. 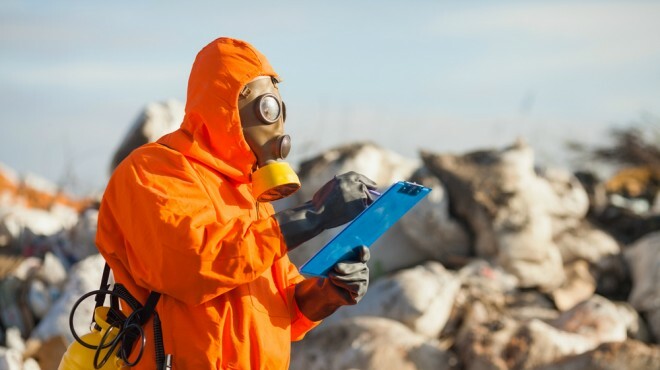 Think you might be working for a toxic boss? Here are some of the biggest red flags he or she might be waving in your face. Being passive aggressive is a staple for toxic people. But when your boss has this trait it’s even worse. Maybe they leave “helpful” signs in the break room reminding everyone to not heat up some monstrosity of a tuna-egg salad sandwich for lunch. Everyone knows the boss is targeting the one employee who eats that particular sandwich. But instead of going directly to the source, your boss publicly shames them without confronting them privately. Unfortunately, sometimes bosses are genuinely trying to be helpful when they micro manage every aspect of the company (or a particular employee’s duties). However, what they’re really saying, and perhaps thinking, is that nobody can possibly do as great a job as them. They’re also letting employees know that they don’t trust them and don’t think they’re capable of the task at hand. A boss is supposed to be a leader and leaders are clear communicators. If your boss consistently fails to provide directions, feedback, and encourage you to ask questions, they’re not trusting you. They’re expecting you to read their minds. Do they get frustrated or angry when you don’t deliver because you didn’t guess their wishes correctly? That’s a tell tale sign of a boss who wishes they managed a carnival with psychics instead of an office. You’ve realized by now that adult life sometimes isn’t that different than elementary school. Some teachers have teacher’s pets, and some bosses have boss’ pets. If your boss clearly favors one or some employees over others, going to lunches only with them, gossiping with them, bringing them little trinkets (even if it’s the occasional “bad coffee” from the break room), or is Facebook friends with them and no other employee, you have a problem. Being their favorite doesn’t mean much when it’s just about who’s sitting next to the head honcho at the meeting. But it’s huge when it comes to promotions and layoffs. Bosses are human, too, and in rare cases you just can’t help to bring your personal life into the office (i.e. the day your boss files divorce papers, it makes sense if they’re a little quieter or bluer than normal). However, if you can never tell if they’ll be up, down, mad, elated, or anything in between, it’s like spending eight or more hours per day playing Russian roulette. It’s exhausting, and for some employees might even be terrifying. Office gossip is bound to happen, especially in smaller environments. However, it’s your boss’ job to lead by example (and in extreme cases address the gossiping of others). If your boss talks negatively about any of his or her colleagues or employees, that’s a deadly sign. Gossip can destroy a company from the inside out, and when the boss is partaking (or leading!) it, it’s only a matter of time before an implosion. Of course your boss probably has benefits on the up and up that others don’t enjoy, like a higher salary. However, bosses are also in the position to take advantage of where they stand. Do they regularly come in late, leave early, take long lunches, not follow the dress code (while enforcing it on others), or use company property for personal use? If they were an employee they would be written up or fired. We all need to unload from time to time. Still, it’s the role of a boss to not “use” their employees in any capacity, including as a sounding board. If you know about your boss’ love life, hangover or intimate details about a business deal that you shouldn’t be privy to, your boss is using you as a makeshift therapist. That’s great for their stress levels, but it’s being transferred to you and it’s completely unprofessional. Some guilt trips are passive aggressive, but not all passive aggressive behavior includes a guilt trip. If your boss tries to make you feel guilty for things you shouldn’t, such as working overtime and not getting paid for it (illegal), or not performing a task “the same way Jane used to” (but the results and quality are the same) — you’re in for a long work life of feeling subpar. With a toxic boss, your workplace is toxic and it’s only a matter of time before that toxicity begins to seep into your work and personal life. Depending on your unique situation, you might be able to take action. It’s often dangerous to approach a toxic boss yourself, since their position of authority also puts them in a position to control your job security. If you have an HR department, discuss your concerns with them. They are bound by confidentiality agreements and their job is to help you and ensure an efficient, safe environment. Sadly, in many cases there’s no correcting a toxic boss. These behaviors are usually either part of a person’s character or have been practiced and honed for so many years that it’s second nature. What you do have control over is how you handle external toxicity. Consider where it stems from, remember that it’s not your fault, and make a conscious decision of how to best respond to negate that toxicity as much as possible. Bulgarian authorities detained on Sunday evening 27 foreigners after a cargo transit train had been stopped for inspection at the railway station in the town of Kaspichan. You are currently browsing the Business, finances, forex blog archives for February, 2016.